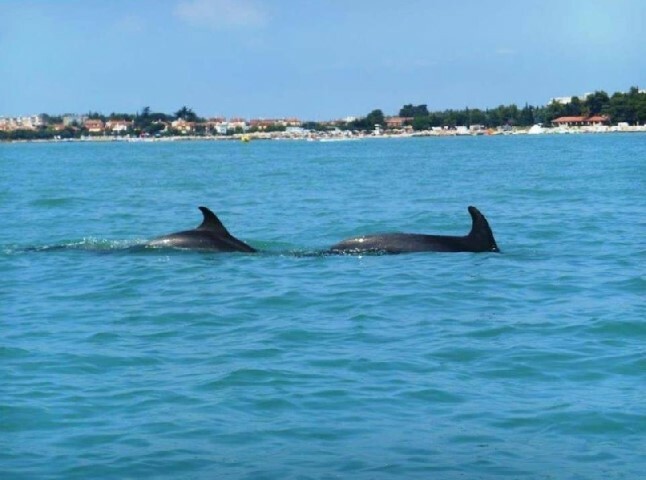 You are spending your holiday in Istria? 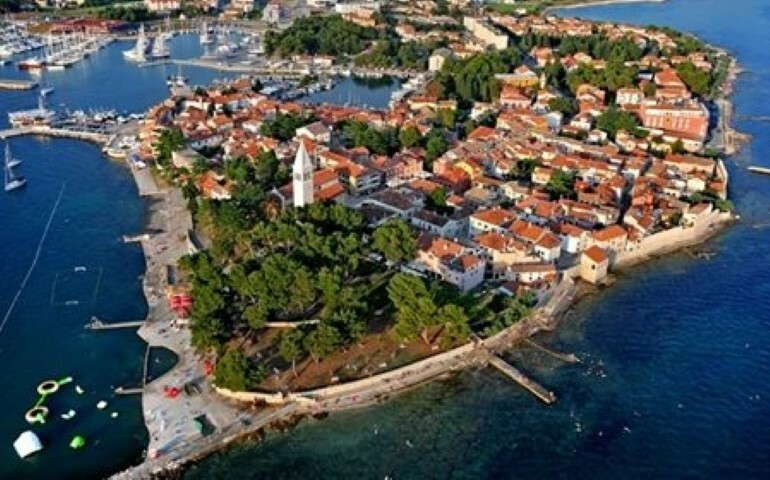 Umag., Novigrad., Poreč… or maybe Portorož., Piran.,Izola ., Ankaran. 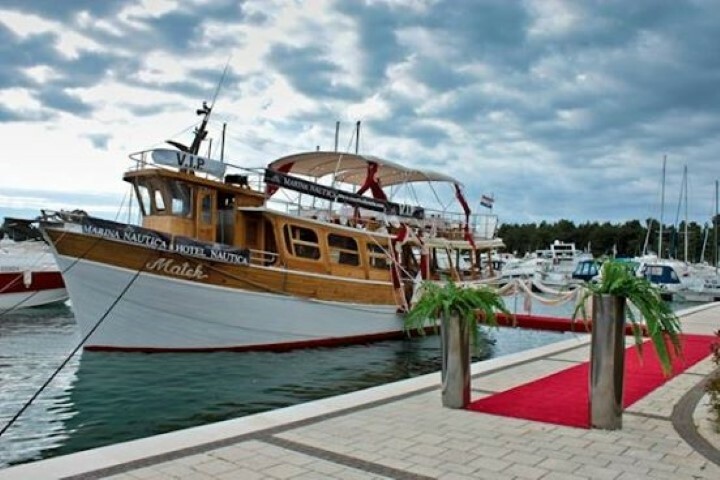 Afford yourselves an unforgettable daily excursion by motor-boat Matek along Istrian shore! 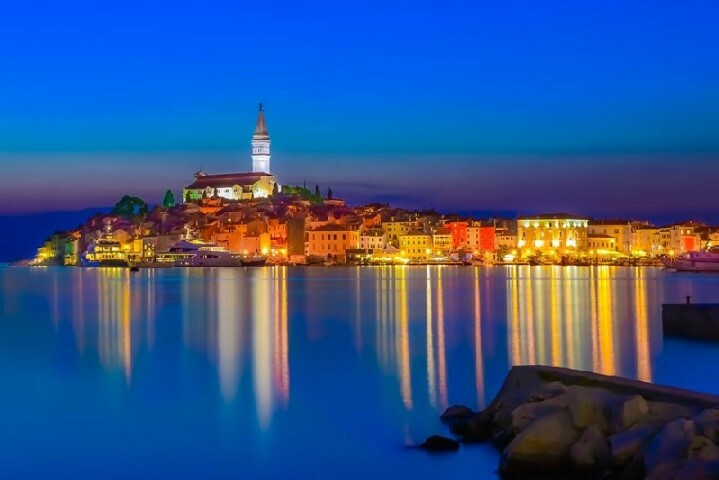 Beautiful shore, visiting and sightseeing in the pearl of Istria Rovinj., panorama of Poreč and Vrsar., swimming in Lim-Fjord near pirate cave…. 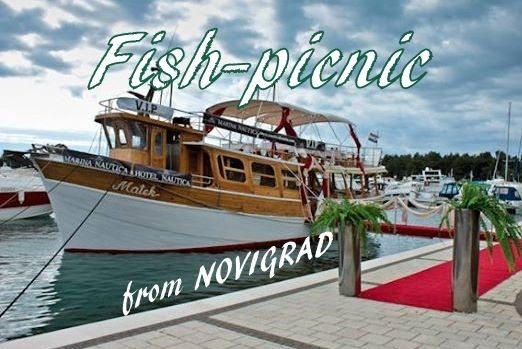 Enjoying sun, sea-side, lunch with specialty from the sea (Fish picnic) on the boat, a glass of Istrian vine and expert Tourist-guide will make your day beautiful! 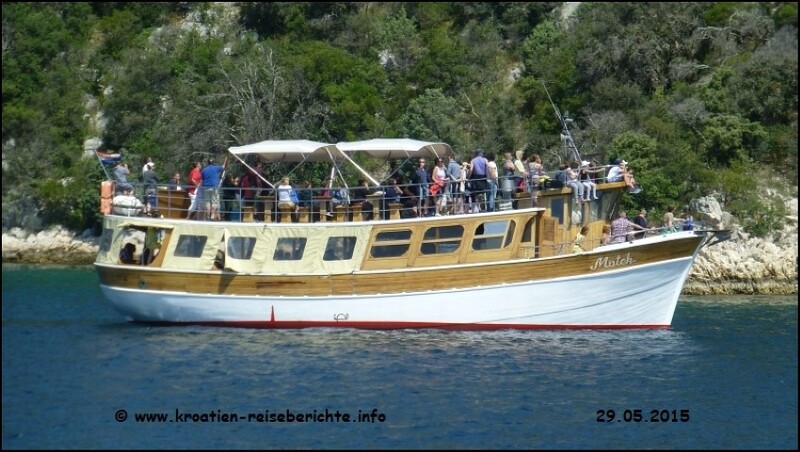 Details: motor-boat Matek., traditionally built, completely equipped for the one-day´s excursions, 124 seats, two etages, terrace, kitchen, bar, protection from sun…. 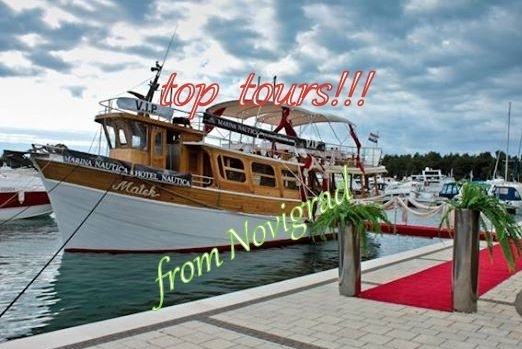 Departure at 9 o´clock from port Novigrad and from Poreč at quarter past 10. 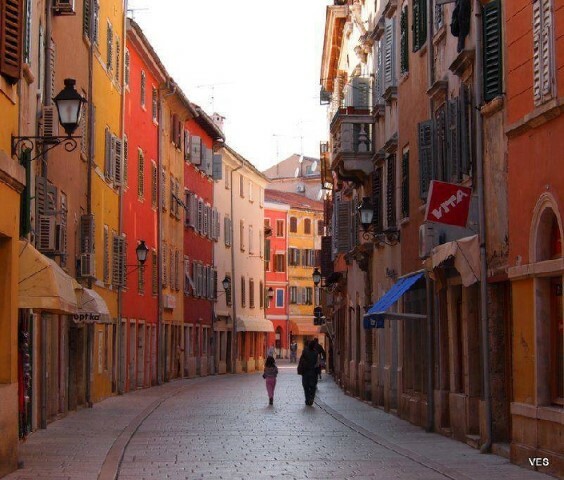 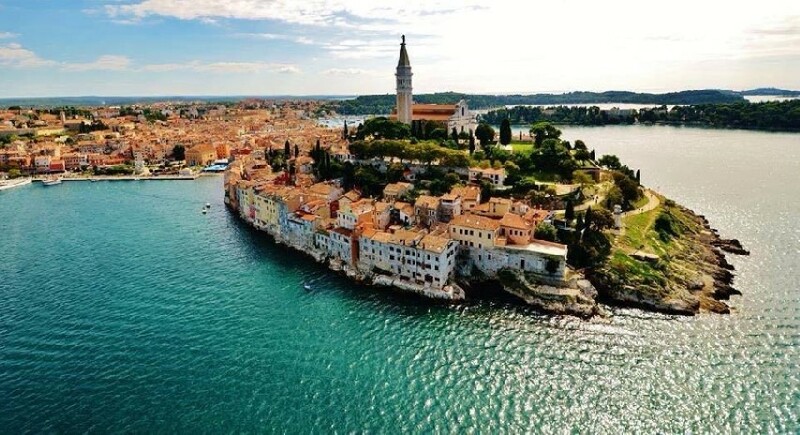 With a panorama trip along Istrian shore, a tourist-guide explains to you the beauties, and history of Istria, Poreč., Vrsar… Coming into Rovinj around 11 o´clock, going out and seeing old town Rovinj., St. Euphemia cathedral, museum Batana, town gate, market, with a tourist-guide. 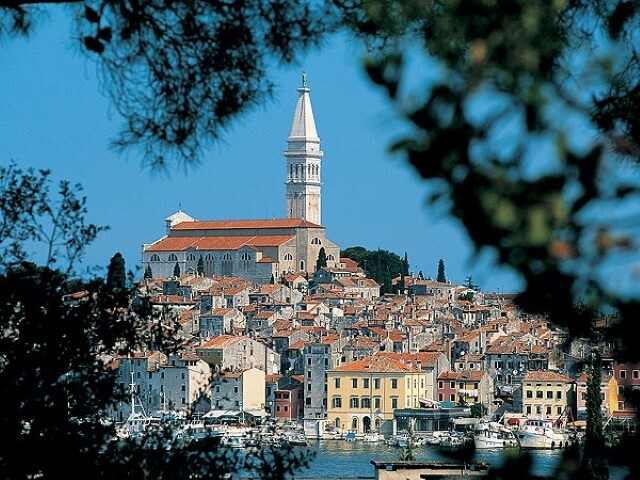 After that, individual sightseeing an Rovinj. 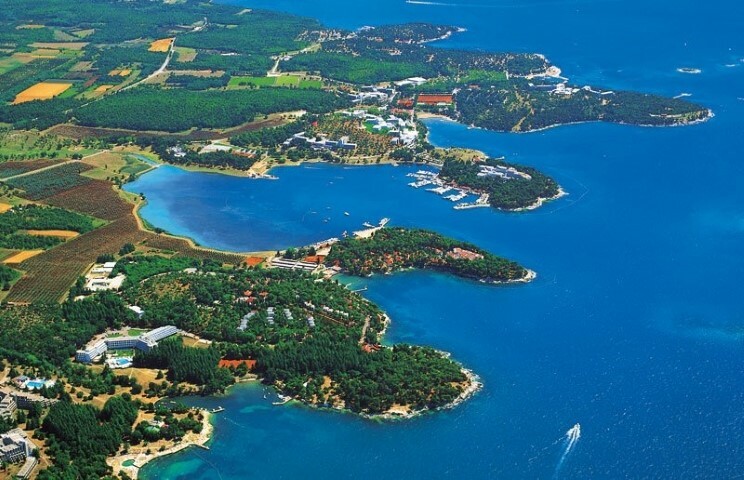 Stay in Rovinj around two hours, going back on to boat and trip towards Lim-Fjord, serving launch on boat, a stop near pirate cave, going out, swimming in crystal clean water or seeing pirate cave. 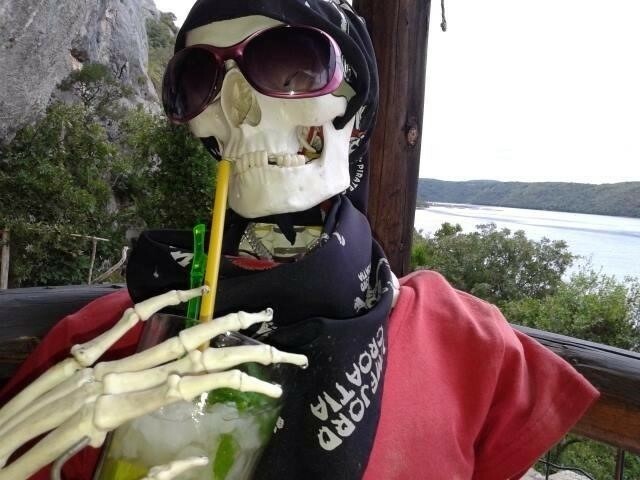 A break around one hour. 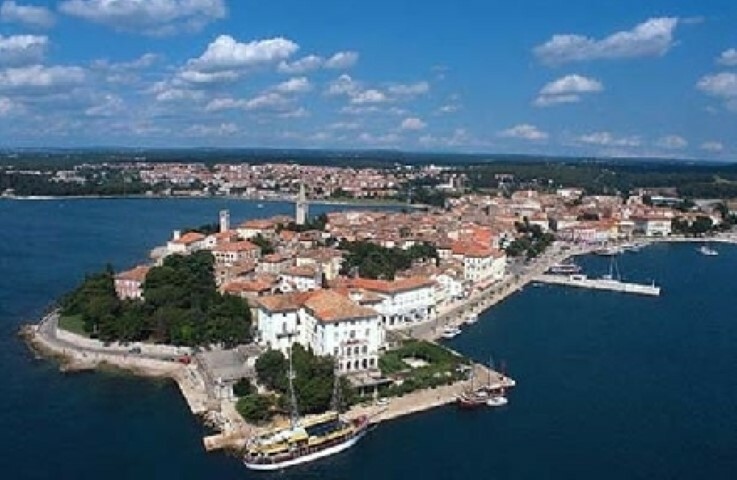 Travelling back to Poreč and to Novigrad. Coming back to Novigrad around 17:30 hours. 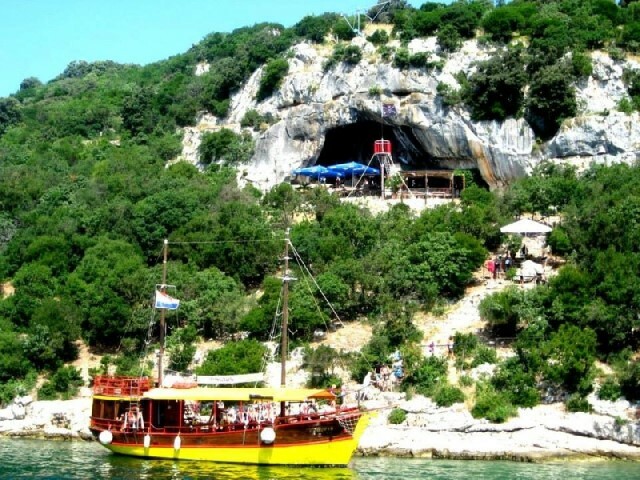 For excursion my motor-boat Matek there is a possibility of transfer to the boat and back from your hotel apartment or reception of camp. 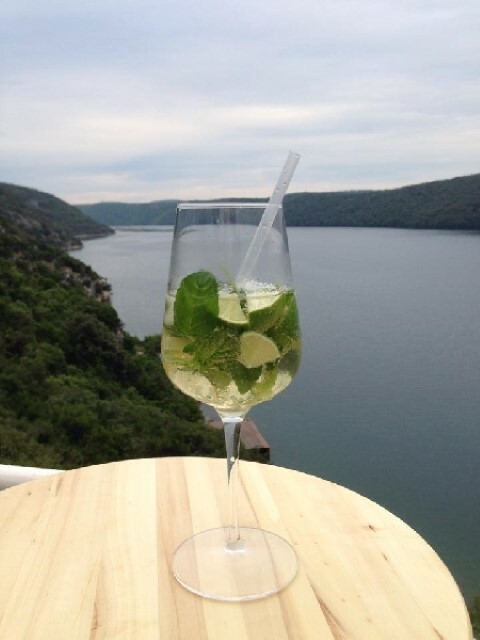 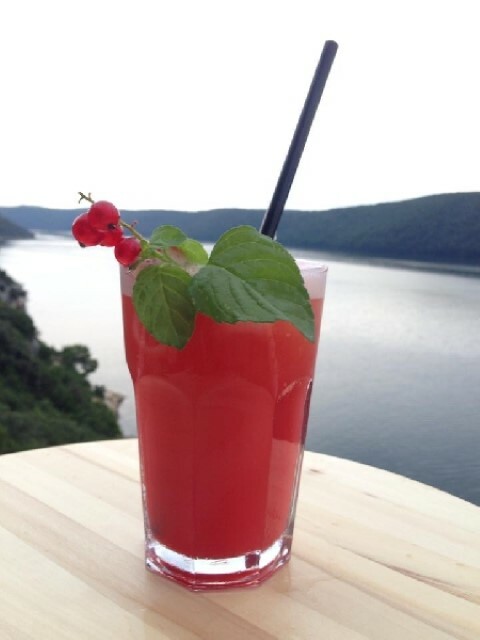 In the price is included trip by boat, lunch (3 menus by choice), a drink with lunch, an aperitif of welcome. 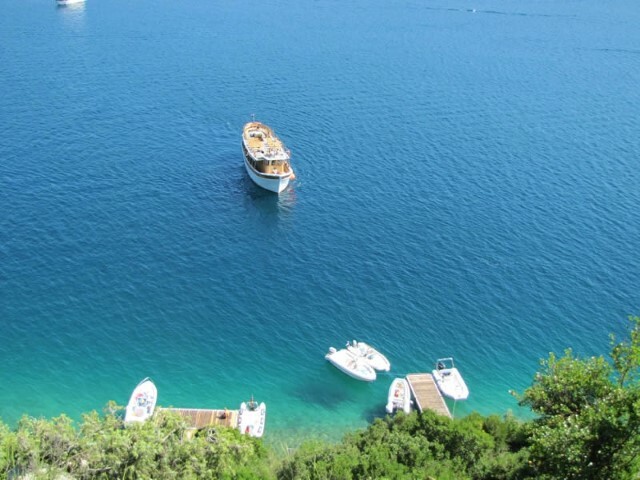 Transfer to the boat and back with minimally extra pay! 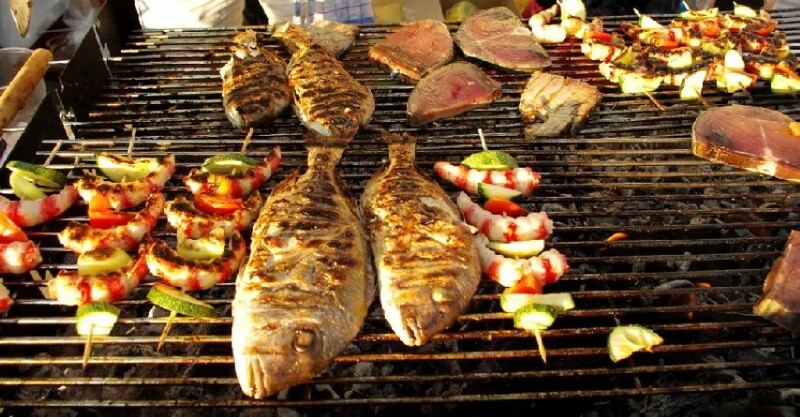 With prices for adults, we offer prices for children, and family packages. 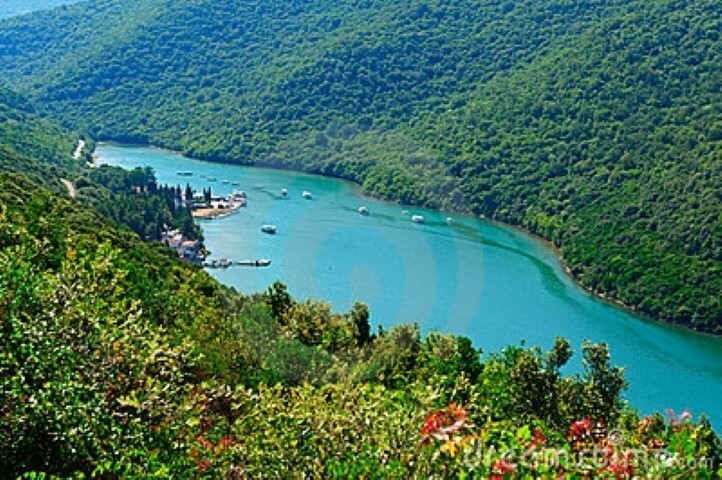 For groups, price is after arrangement, and the programme of excursion itself!